Experience matters –generations of experience, to be exact! 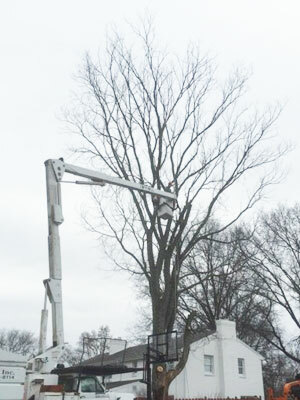 At Father and Son Tree Service Plus, Inc. we pride ourselves in having decades of tree service experience in tree removal, stump grinding, tree trimming, and thin out services in the Bethel Park, PA area. With careful planning, safe cutting methods, guided ropes, and precise notch angles, we can maneuver around the most precarious landscapes, leaving your surrounding property exactly as we found it. Professional training and years of hard work have also given owner Bernie Eckley the foresight to detect potential falling tree hazards. Rather than waiting for the next heavy wind or snowfall to cause serious property damage, give Father and Son Tree Service Plus, Inc. a call today. We are available for emergency services. Whether you’re looking for tree service or crane service, we have got you covered! From tree removal to trimming to tree stump removal, we do it all! 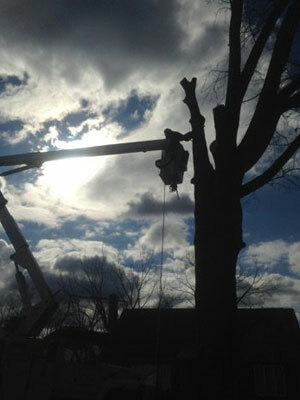 When you come to us for tree service, you can rest easy knowing we will exceed your expectations. Check out some of our past work in our media gallery. Looking for tree services in Bethel Park, Upper St. Clair, Mount Lebanon or surrounding South Hills areas of Pittsburgh? 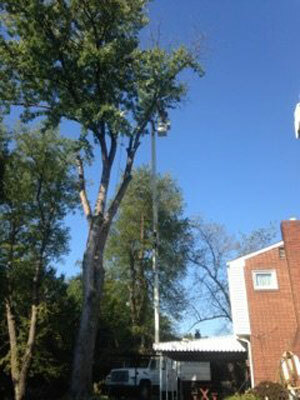 Contact Father and Son Tree Service Plus, Inc. for superior results! Father and Son Tree Service Plus, Inc. operates from a commercial lot full of well-maintained vehicles and equipment. This includes a “Lift All” bucket truck service, International dump truck with hydraulic crane, several chainsaws, hauling tools, log arches, stump grinder, wood chipper, multiple pickup trucks, ropes, straps, come-alongs, and safety tools which are brought to every job site. Continuing a family tradition that began more than 45 years ago, Eckley and his crew have the talent and skill needed to take care of your residential or commercial tree jobs. We are licensed and insured, and we have an A+ rating with the Better Business Bureau. So whether you need a few trees trimmed from your property or you want that unappealing stump ground down and removed from your yard, we’ve got everything covered. © 2018 Father and Son Tree Service Plus Inc.